For Key West Conchs, the six-toed cats’ presence on the island is normal. For visitors, it’s an odd addition and attraction to famous American author Ernest Hemingway’s home. How did this feline fetish come about? How does it persist? As part of our Key Weird Series, we’ll delve into all the odd details of what makes Key West Key Weird. For starters, six-toed cats aren’t a breed, but the trait is a gene carried in the cat’s DNA. The Hemingway grounds are home to 40-50 polydactyl cats. Not all of the cats have six toes, but all of the cats carry the gene. Hemingway was gifted a six-toed cat by sea captain Stanley Dexter in 1930. The white, six-toed kitten was named Snow White. According to WideOpenPets.com, sailors favored polydactyl cats because they believed their balance was better on rough seas and they were quicker to catch mice. The jury is still out on these claims. Hemingway was a cat person through-and-through and owned at least a dozen at a time, as well as dogs. In 1943 in a letter to his first wife, Hemingway wrote about his many cats, and one specifically, Dilinger, who he taught to drink whiskey and milk with him. Although Hemingway spent his first few years in Key West at the Casa Antigua on Simonton Street, the house in which he spent most of his Conch tenure was the iconic Spanish colonial at 907 Whitehead, today the Hemingway Home and Museum. Today, many of the cats that roam the Hemingway Home grounds are descendants of Snow White. Hemingway named all his cats after famous people, and this tradition continues today. The cats are as much of a draw as the famous author’s home. Today, cats with extra toes outside the island are even referred to as Hemingway cats. 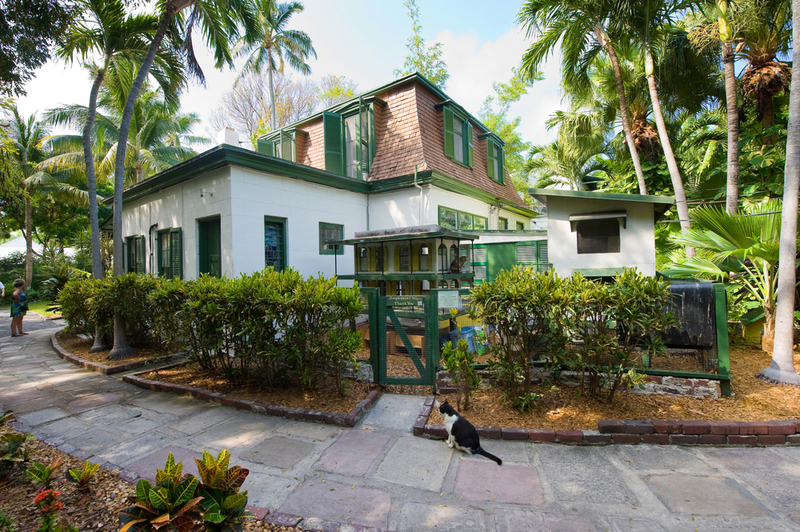 Located minutes from the hotel shuttle stop, getting to the Hemingway Home and Museum is easy. It’s a leisure walk down Duval to this iconic piece of American history. Check out more information on our website or ask our front desk for more information. Have a suggestion for our Key Weird series? Leave a comment below.